Shower Together is a beautiful blue toned teal creme with a great formula. Application is a dream with this one. I applied 2 easy coats and barely needed any cleanup because of the thin brush. It also dries shiny, but I used one coat of Seche Vite to make it dry fast cause I wanted to do some nail art on top. So last week I was telling you about the crafting scissors I got. One of them has a slightly wavy pattern and I used that one to create this manicure. I cut wavy tape slices and placed them diagonally on each nail. Then I painted China Glaze Flyin' High on top and took the tape off to reveal the design. 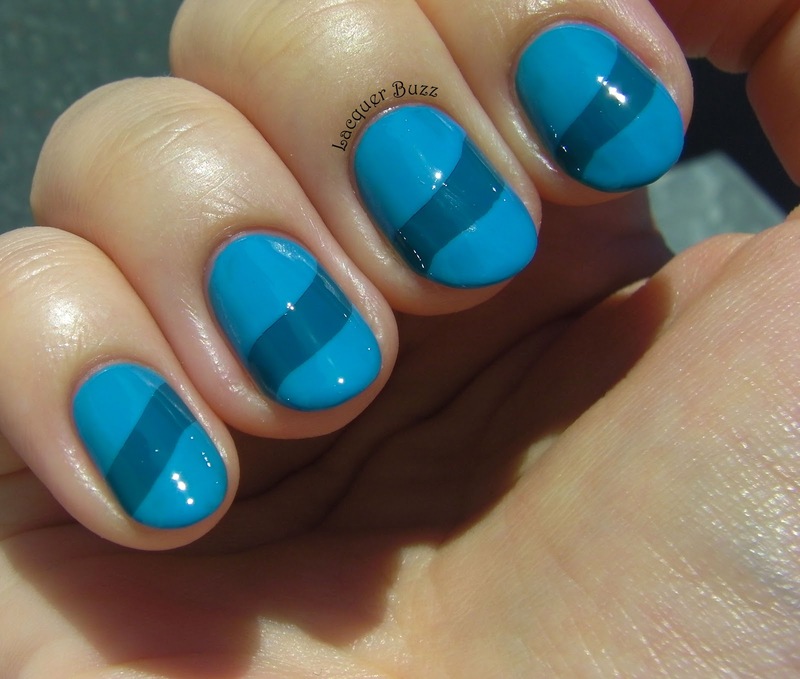 This color combo reminds me of one of the first manicures I ever posted on the blog. It was a tape manicure with teal and Flyin' High. I know the pictures were terrible, but I was so proud of that nail art. You can check it out here if you want. 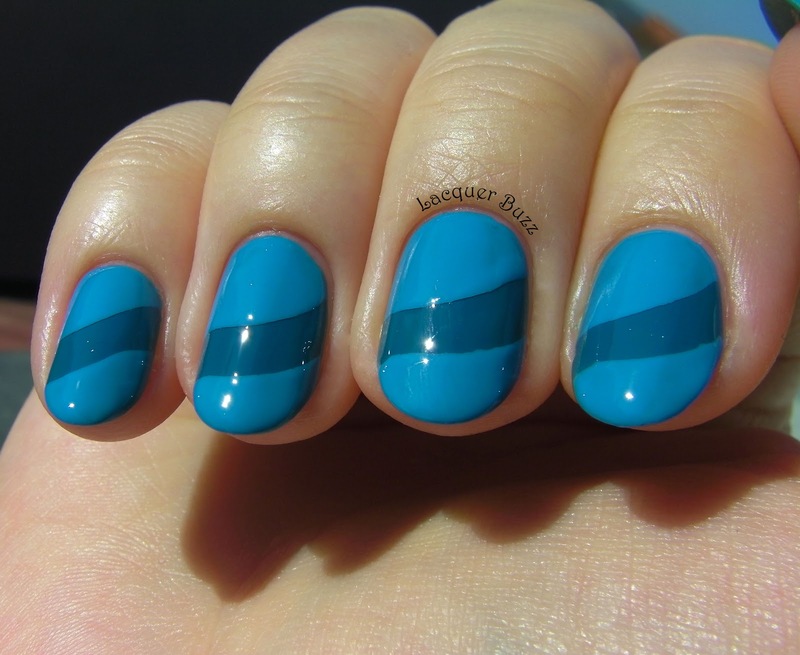 I really love these colors together and the slightly curved line gives an interesting touch to the mani. I can't wait to play more with my crafting scissors. Thank you for stopping by! Make sure you check out the rest of the Monday Blues below. I cannot believe it's been one year already!! I haven't missed any either. *High five* Shower Together is such a pretty blue. I think I have it. Love the video also ;0). Thank you! I can't wait to see it on you. Not only have you done all the Monday Blues with me, but you never miss one day of posting on your blog. I really admire you. Don't know how you do it but keep it up!